Back when I worked at a chromatography company, I went to a tapas restaurant for lunch, and had some Mexican Corn. Unfortunately, I can remember neither the restaurant name nor the location anymore. However, I do remember the delectably yummy and flavorful Mexican Corn on the Cob. 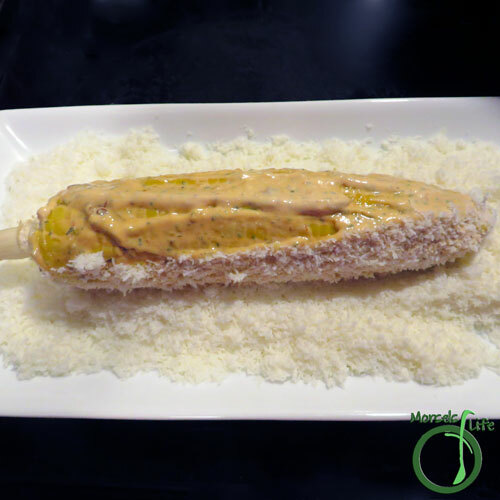 (We recently went to another restaurant, and I believe this corn is also called Elote.) Since we'd purchased some corn on sale, I thought back to the scrumptious corn I enjoyed back in what seems like another lifetime. I made this Mexican Cotija Corn in a oven, and it'll taste even better if you make it on a grill. 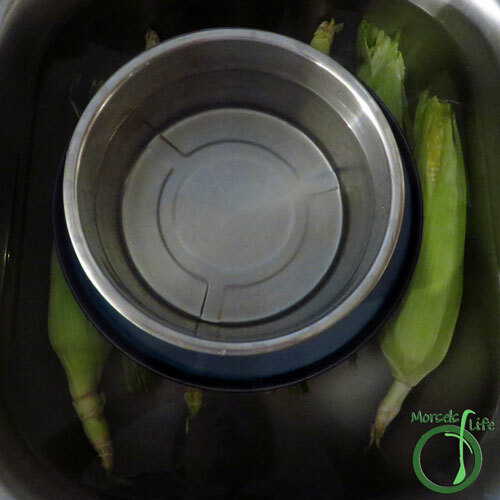 The hardest part of making this corn was getting it to stay submerged while soaking - they just want to roll and float! I ended up using a rice cooker pot partially filled with water on top of a plate to keep the corn down. So once you've soaked the corn, drain and roast it. (Unless you're lucky and have access to a grill. Then grill the corn.) 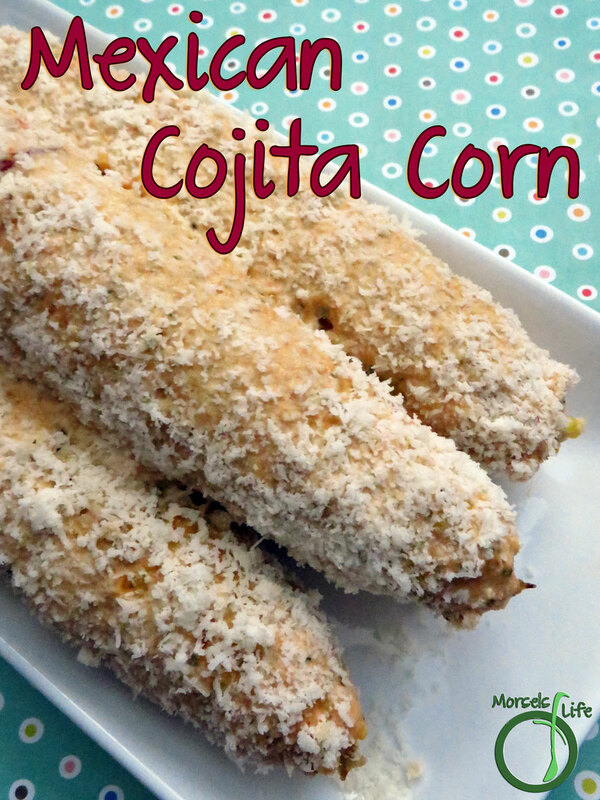 :) Once the corn's cooked, slather it with some Chipotle Mayo and roll it in some Cotija cheese. Then it's time for the best part - gobbling! 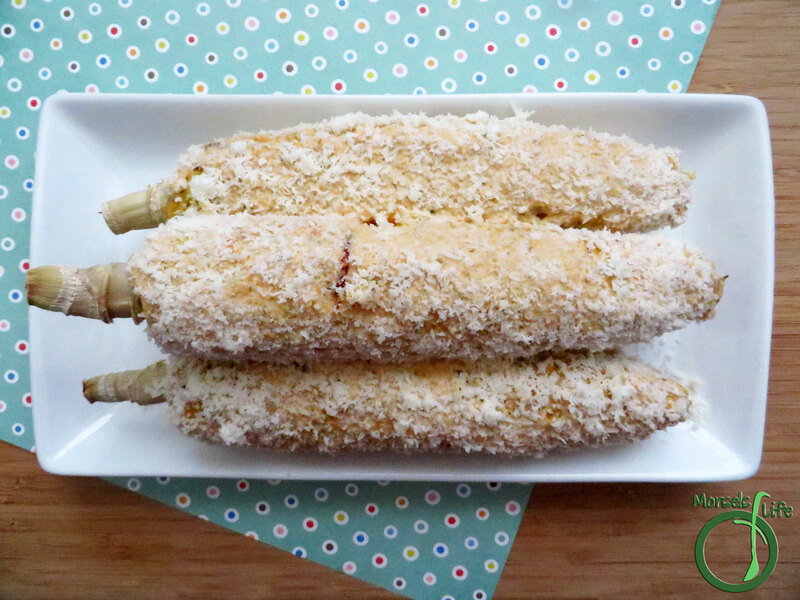 What's your favorite way to eat corn on the cob? 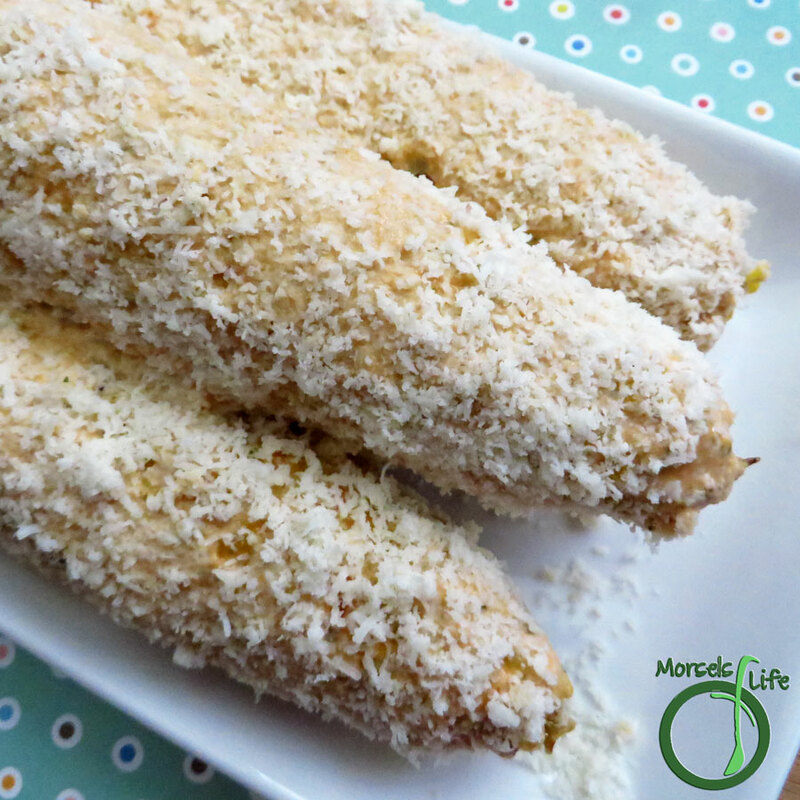 Smoky chipotle mayo and salty Cotija cheese perfectly complement sweet corn in this Mexican Cotija Corn. 2. 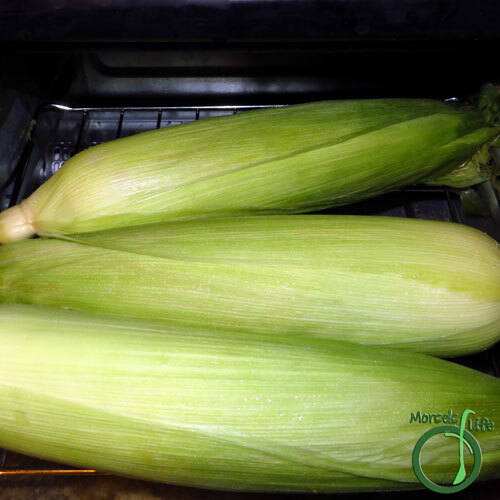 Soak corn in water for about an hour. 4. 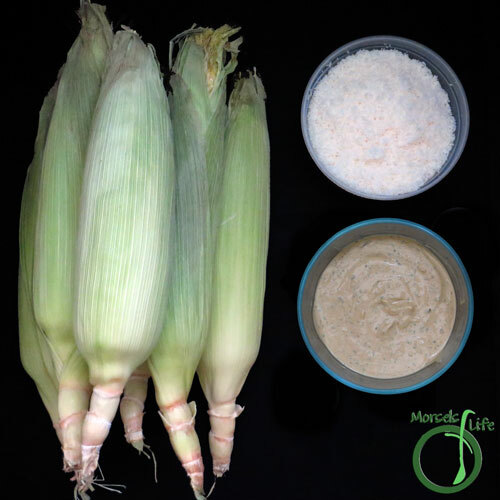 Remove corn husk and silk, leaving the stalk as a handle. Slather with chipotle mayo, and then cover with Cotija cheese. Congratulations! Your post was my feature pick from my Commenters at #WonderfulWednesday this week. Visit me on Tuesday evening and to see your feature and pick up your badge! I invite you to leave more links to be shared and commented upon. Nice. This is so different and looks very yummy. Thank you for sharing at #OverTheMoon. I look forward to seeing you next week. Have a great day. I could eat a lot of this corn, lol!! It looks gorgeous! Thanks for sharing with us at Throwback Thursday! So scrumptious! Thanks for sharing on the What's for Dinner Link up.